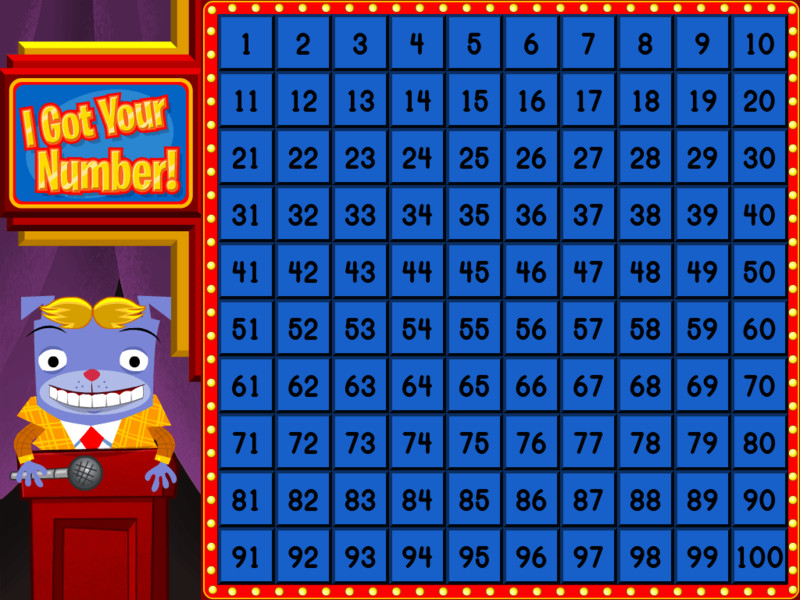 Make learning maths facts easier with the strategy of looking for numbers that add up to ten. Since ten is a landmark number that is easy to add with, spotting combinations that make ten is one way to improve your child's speed and accuracy in addition. In this activity, help your child practise making ten by creating and playing this fun and simple card game! 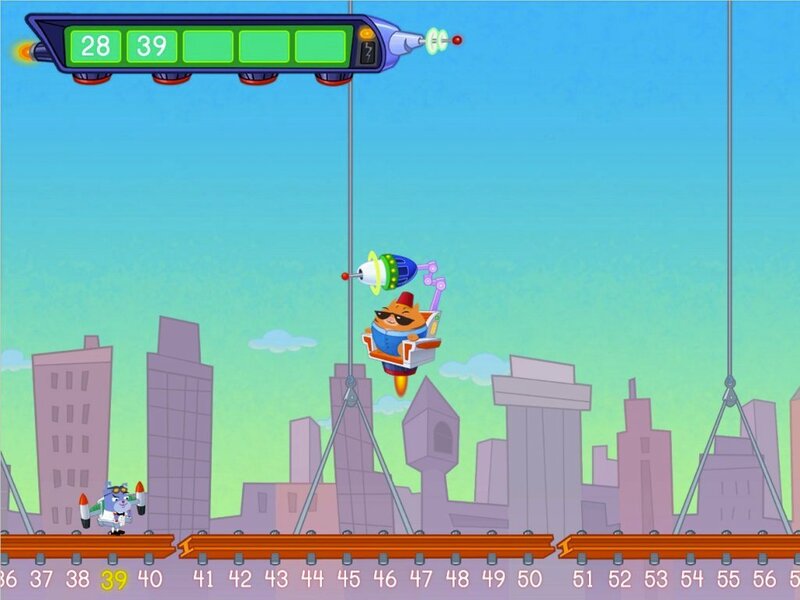 Note: The Terrific Tens Go FishGame works on the same set of skills as this game and uses the same deck of number cards. 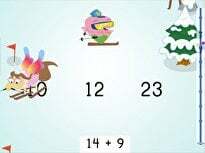 If you have already created the cards for the Terrific Tens Go Fish game, you can use the same number cards for this game. 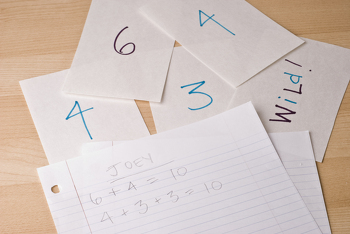 Create a deck of number cards using the marker or crayon and index cards. 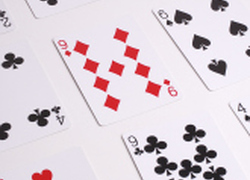 You will need four cards each of the numbers 0 through 10 and four “WILD” cards for a total of 48 cards. Arrange the cards face down in four rows of five cards. 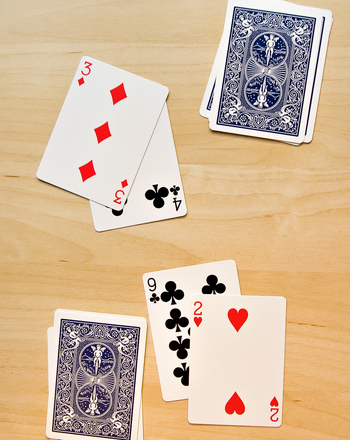 Place the remaining cards in the deck face down in a pile. Play the game. 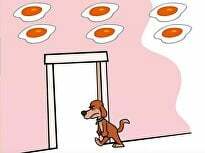 The objective is to turn over and collect combinations of cards that total 10. 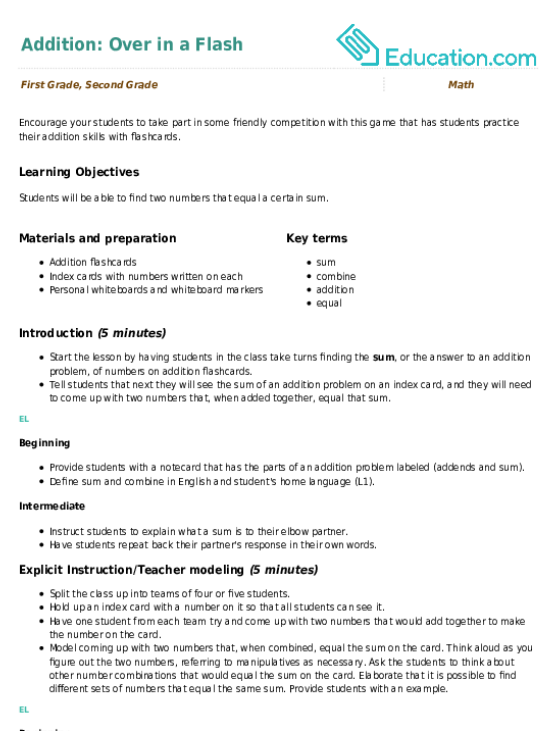 The winner is the player who makes the most combinations of 10. Take turns. On a turn, turn one card over and then another. A "WILD" card can be made into any number. If the total of the two cards is less than 10, turn over a third card. If the total is more than 10, your turn ends, and the cards are turned face down and put in their original positions. If the total is 10, take the cards, replace them with the remaining cards in the deck, and go again. As you find combinations of numbers that equal 10, write that addition problem on your lined sheet of paper. Place all your combinations of 10 in one pile after you have written the problem down. The game is over when no more 10s can be made. 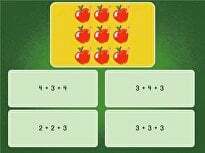 As your child becomes more proficient at adding, this game can be adapted to different addition facts. Create Turn Over 20, for instance, to practise adding numbers adding to 20, and so on—the possibilities are endless! Encourage your students to take part in some friendly competition with this game that has students practise their addition skills with flashcards. Help your second grader find out with this worksheet full of big number addition and carrying hints. 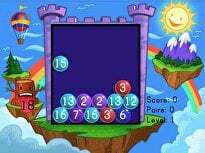 Does your child ever wonder where to put the numbers she carries over in addition problems? He'll wonder no more with this helpful worksheet! 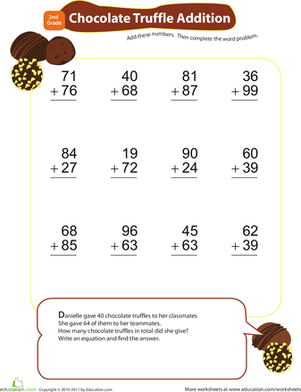 If your first grader is gaga over chocolate, enlist her love of the sweet candy to get her interested in double-digit addition! This adorable addition printable will help your second grader practise carrying over remainders as it boosts their mental maths skills!